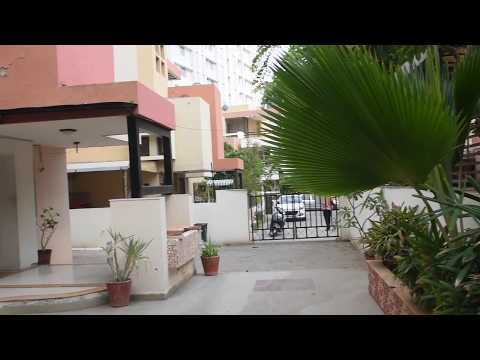 This Service Apartment in Prahlad Nagar is close to Sardar Patel Institute of Public Administration, about 5.5 kms from Indian Institute of Management, about 14 kms from Ahmedabad Railway Junction and about 19.3 kms from Sardar Vallabhbhai Patel International Airport. 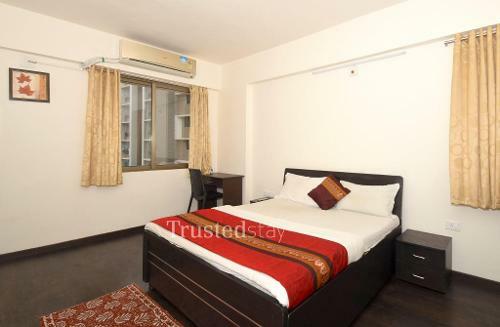 There are many eateries and fine dine locations near this service apartment like, KFC is just at the entrance, Nini’s Kitchen with North Indian cuisine is just 350m away, Barbeque Nation is 800m away, Kailash Prabat restaurant is 1.1km away and Gloria The Restaurant & Banquet is 1.5km from this service apartment. 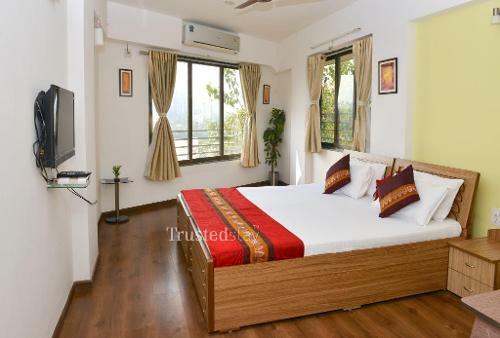 This Villa service apartment located inside a gated community near Prahlad Nagar Garden, offers a total 5 rooms. 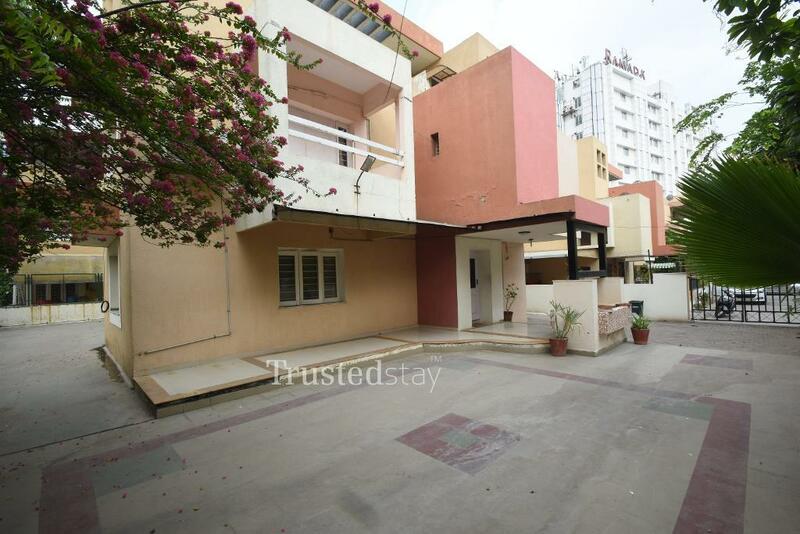 Kitchen, living area and one bed room is on the ground floor, three bed rooms on the 1st floor and one bed room on the second floor, all rooms are fully furnished with AC, LCD TV and attached bathroom. A fully functional kitchen is manned by our own cook, who prepares and serves breakfast and meals to the guest. Ideal for Corporate and individuals be it for short or long stay. 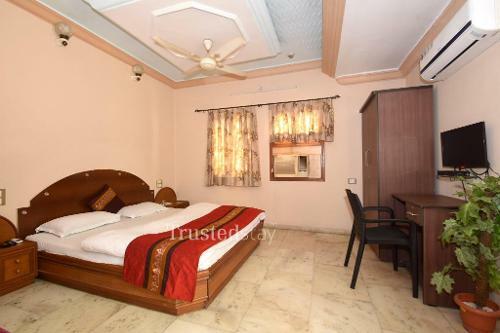 Its a fully furnished private room approximately 150 sqft in size with an attached bathroom but is a part of an 5 bedroom villa with a common living area.